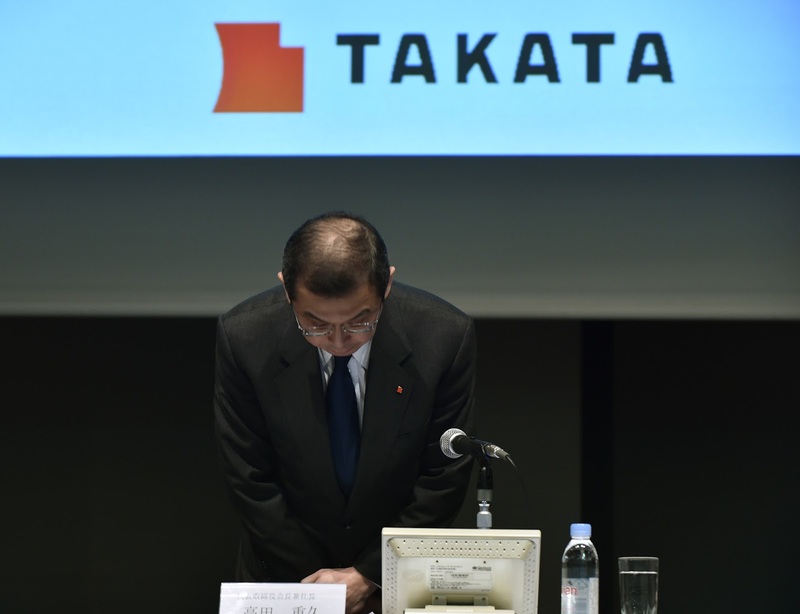 Japan's Takata was brought down by the huge cost of its exploding airbag crisis. The company's faulty airbag inflators, which can blast shrapnel into drivers and passengers, have resulted in the recall of tens of millions of vehicles and been linked to 11 deaths in the U.S. and several others elsewhere. With spiraling debts estimated at more than $9 billion, Takata (TKTDY) said Monday it's seeking bankruptcy protection in Japan and the U.S. It's also selling off the lion's share of its business to a U.S.-based rival. "The sad saga of Takata ... has resulted in the implosion of one of the automotive industry's oldest and most successful suppliers due to technical hubris, mismanagement and a systemic corporate culture of manipulation," said Scott Upham, the CEO of Valient Market Research. The money from the sale of the business to Key Safety Systems will be used to cover those and other costs resulting from the airbag recall. But Takata shareholders are unlikely to get their money back, Upham said. The company's stock plunged more than 65% last week following reports that its bankruptcy filing was imminent. Its shares were suspended Monday because they're going to be delisted, the Tokyo Stock Exchange said. The major automakers who used Takata airbags in their cars -- including Honda (HMC), Toyota (TM) and GM (GM) -- could also end up out of pocket. Upham said they're likely to have to pick up the tab for most of the estimated $5 billion that's needed to pay for replacing the tens of millions of Takata airbag inflators still in people's vehicles around the world. Only 35% of affected cars have so far had their inflators replaced, he added. The process of making all U.S. vehicles safe again could last until 2023. But Takata's bankruptcy isn't expected to disrupt the massive recall triggered by its faulty products. The Japanese firm is now supplying only 25% of the replacement inflators, according to Upham, with rival companies providing the rest. Despite its disastrous airbag business, Takata has other operations that are still in good shape. That's what attracted Key Safety Systems, which is owned by China's Ningbo Joyson Electronic Corp.
"Although Takata has been impacted by the global airbag recall, the underlying strength of its skilled employee base, geographic reach, and exceptional steering wheels, seat belts and other safety products has not diminished," said Key Safety Systems CEO Jason Luo.